Early reviews of the Color product are pretty negative. Om writes that Color is attracting the wrong kind of attention – pundits rather than users – because it doesn’t seem to deliver either “enchantment” or utility. Mathew Ingram wonders if the big funding bet is on Color’s all-star team rather than its product or ideas. Implicit Networks: Angel investor and Hunch co-founder Chris Dixon says he’s intrigued by Color because it is pushing the envelope on implicit social graphs. Color’s implicit networks aren’t specified by users, but rather are based on underlying contexts like geography or shared interests. If Color builds on its implict network concept, it could deliver instant groups of friends for different occasions or interests, and expose recommendations based on common tastes. Marketers could target advertising or offers within a Color network to real-time groups around an event or location, or aimed by shared interests. Place and Time Data: Search pundit John Battelle goes a little overboard on how Color could push augmented reality. But he’s right about the importance of geo-tagged data. In a presentation last week at GigaOM’s Structure Big Data 2011 conference, IBM Distinguished Engineer Jeff Jonas showedhow adding place and time to data objects can power big data analysis, predicting a person’s likelihood of being at a given location with astounding accuracy, and assisting in identity management. Again, if Color is a leader in gathering this data, it could build out a powerful — yet still privacy-protected — targeted advertising network. As I stated above, Color has no actual business model yet. But recall how, before Bill Nguyen sold Lala to Apple for $85 million, he took it through at least three different business models. With its talent and cash hoard, there’s no doubt Color will evolve as well. Read more on its potential business models to come in my latest weekly update at GigaOM Pro (subscription required). 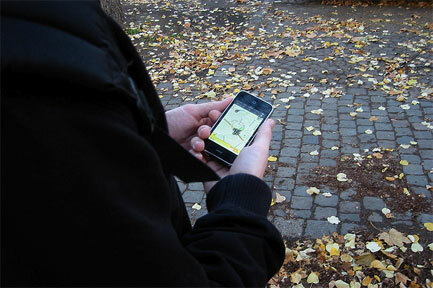 Augmented reality meets geolocation. Sharing based on proximity and not friend lists. I think this is going to be a HUGE hit with the ever increasing smartphone crowd. What’s more, it is a great way to leverage advertising. Blog article on this coming soon…………. Yep… this is a wait and watch space. With $41Mn in the bank, they can probably outlive the current bubble. I will check out the ‘pro’ report to check what models the author is discussing. Betting they become infrastructure for someone else just like Lala since they blew their launch so bad.